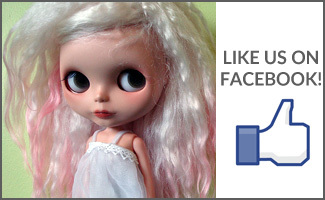 BlytheLife.com » How often do you change your dolls’ clothing? One of the things I like about Blythe is how pretty they are and I also like changing their clothes from time to time, but I don’t do it particularly often. 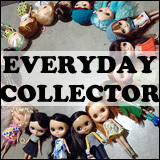 If you were to take a glance at my 365 photos, you’d think I never change their clothes because my dolls stay in the same outfit for fairly long periods of time. I believe that Bennett, my Margaret Meets Ladybug, has been in the same outfit since perhaps… May? I feel bad, haha. So I was just wondering how often you change the clothes that your dolls wear! Every day? Once every other week? Once a year? Share! 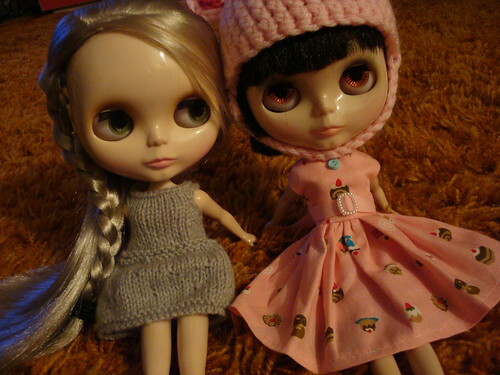 Since I’m just getting into Blythe, I don’t have a lot of clothes sewn for them yet. It also depends if we’re doing a photo shoot… I now have 4 Blythes, one is still in her box until Christmas – it’s soooo tempting to take her out! I guess I’d better get sewing! I change some of my girls on a daily basis. Others get changed at least a half dozen times a month. I feel bad if a doll stays in one dress for too long. Lol. 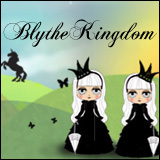 Changing their outfits is probably my favorite part of having Blythes. I probably change them every 1-2 weeks. I only have 4 out of box, so sometimes I simply can’t change their outfits because I still enjoy looking at them, even if I want to redress them just for fun.